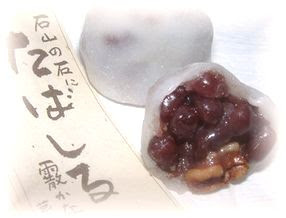 Many tea sweets (chagashi 茶菓子) are named after famous short poems (tanka 短歌), but there are also some named after a famous haiku. I will try and list them here as I find them. 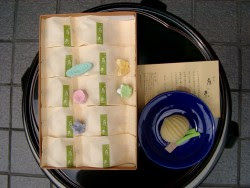 a partly bi-lingual BLOG by Kikyo San, a sweet maker in the 18th generation in Iga Ueno, the home of Basho. Take your time to browse here ! The hokkku by Basho are not about food, though. 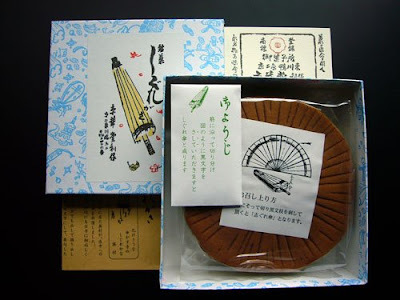 Only the sweets are all named after his poems.
. uguisu ya yanagi no ushiro yabu no mae . "Umbrella looking like a ghost"
In the North of Kyoto there is the temple Ichijoo-Ji Konbuku-Ji 一乗寺金福寺 (Konpuku-Ji) where Buson wrote this haiku. He was on this way to Central Kyoto, when the rain became stronger and he borrowed this old tattered umbrella. The umbrella looked as if it would grow legs and arms, strecht out the toungue and start dancing in a moment. The owner of a sweet store in Kyoto made a small cake looking like an umbrella and had his HIT right away. This was in 1903. The present owner of "Kyokado 京華堂" is in the fouth generation. 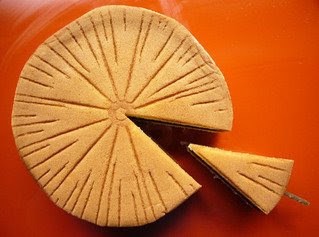 The owner also seems to have created the word "Haiku Sweet", which is written on the explanation sheet of this cake.
. Konpukuji, Konbukuji 金福寺 / 金福寺 Konpuku-Ji - Kyoto . Rain begins to fall, and Buson goes to a temple nearby and asks for the loan of an umbrella. The monk gives him one, so old that it is hardly worth while returning. As he leaves the temple in the gathering darkness, the rain falling steadily and monotonously, Buson feels that this aged umbrella may suddenly transform itself into a fox or a witch or goblin. The old monk, the old temple, the rain, the tattered umbrella, the evening, the thoughts of ghosts and apparitions are all blended together with a power and compactness in the original which even a literal translation cannot emulate. "Rain of a temple lending a bewitched umbrella" is nearer the Japanese, but omits the "may be" element of "looks as though it may be going to transform itself" expressed by "bakesoo." Read a discussion of this haiku translation. The shop Rokujiya 六時屋 in Matsuyama makes sweets in memory of haiku by Masaoka Shiki since 1953.
. - Comment by Chris Drake . the first in my hand? 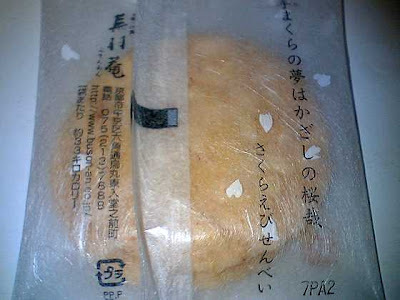 Whether Chiyo-ni's marriage was sweet, or bitter like an unripe persimmon is unknown. Perhaps hints can be found in her poetry, which she began writing at the age of seven. By seventeen, her talent for writing clear, pure haiku was well known. In her later years she took vows and lived the contemplative, austere life of a Buddhist. Perhaps even then she permitted herself an occasional taste of the sweet fruit of the persimmon tree. 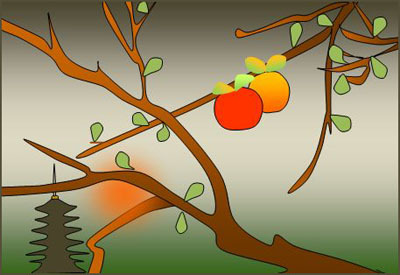 can imply taking the first persimmon fruit from a branch of the tree and take a bite. chigiri 契り can also imply exchanging marriage vows and then hatsu 初　the first encounter of a newly-wed couple. a special kind that is skinned and dried for preservation, then hanged on a string it becomes the tsurushi-gaki.
. . . CLICK here for temakura Photos ! 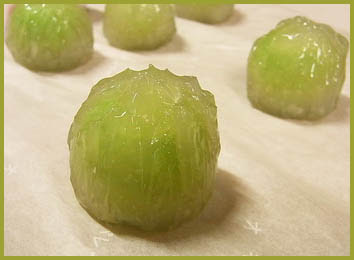 ryoo no te ni momo to sakura ya kusa no mochi . River Horikawa in　. Kyoto 京都 . ***** . Poetry and Japanese Food . 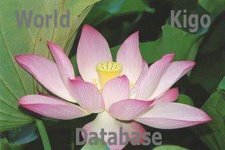 i enjoyed it very much to visit this blog! 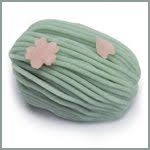 when i read the haiku and the informations, when i saw the photos, i remembered the wonderful shops in Kyôto, especially a shop near Gion, wagashi, so beautiful and delicious! Sakuo-san, please be so kind to add a translation! Thanks for tasting the sweets, Angelika san and Sakuo san! I'd never heard of sweets named for haiku... very interesting! Thank you for the wonderful links, Gabi san! This is a treat in and of itself, Gabi. Reading the different translations, then the sweets, then the ghosts....fascinating. Thank you! This hokku is from Issa's diary early in the second month (March) in 1813, a couple of weeks after reaching a final settlement with his brother on 1/26 concerning their inheritance from their father. Issa wasn't able to move into his father's house immediately, and during the second month he was staying at various Buddhist temples and at the homes of students who lived near his hometown, waiting for his half-brother and stepmother to move out of half of the house. At the time the hokku was written, no word had apparently come from his brother and stepmother about his move, and his brother and stepmother, both hostile to him, were not making any friendly visits to socialize or welcome him back to his hometown. Meanwhile, most of the villagers were either cold or hostile. In two later anthologies, the first published in 1818, the hokku has the headnote "sitting alone" (独座), a phrase that suggests the meaning of Issa's habit of resting his head on his arm or sometimes perhaps his arms. Each day Issa, still a traveler, sits at a low table, perhaps with a foot warmer under it, and rests his head on his arm and his elbow on the table as he quietly thinks about things and gazes outside the temple room or his room in the house of his current host. On some days he perhaps stretches out on the floor with his head propped up on an arm or both arms. He must be thinking intensely about how he will live his future life as a largely unwanted member of his hometown, and he probably has lots of time to himself. In waka poems an "arm pillow" connotes either loneliness if it is your own arm or intimate love if you share your arm with your lover, and in this hokku, the image of aloneness day after day seems to be clearly implied. Issa is not quite lonely, however, because each day butterflies enter the various rooms he stays in, rooms that have sliding-door walls and are open to the outside during the day. Apparently the butterflies come quite close to Issa as he sits peacefully and virtually unmoving. Issa writes that the butterflies "give him" their visits, as if they could somehow sense his aloneness and wished to keep him company for a while.